Verilan provides IT support to businesses from across the Midlands; whether that be providing Microsoft or Apple solutions, maximising hardware performance or managing software updates, Verilan are there to provide a proactive IT support. 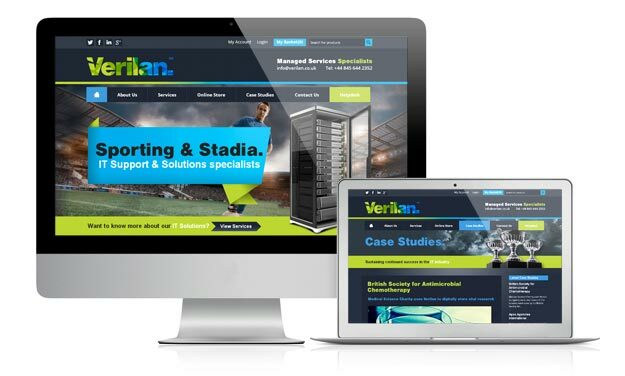 As well as general IT support; over their 19 years of operating, Verilan have increased their portfolio of services to include hosted email, data backup,structured cabling and network supply management. Much like their company Verilan required a website that was responsive, with clear content, and would showcase case studies of clients they have worked with. As well as this the site needed to provide current clients with a quick and easy way to contact Verilan for immediate I.T support, along with an ecommerce section to the site. HeadRed Developers rose to meet these requirements; giving Verilan a new, engaging and dynamic site, highly responsive and user-friendly to meet the device demands of Verilan’s current and potential clients. To take a look at Verilan’s site visit: http://www.verilan.co.uk/ and tell us what you think.